Two Harvard scientists have succeeded in creating an entirely new substance long believed to be the “holy grail” of physics — metallic hydrogen, a material of unparalleled power that could one day propel humans into deep space. The research was published last month in the journal Science. Scientists created the metallic hydrogen by pressurizing a hydrogen sample to more pounds per square inch than exists at the center of the Earth. This broke the molecule down from its solid state and allowed the particles to dissociate into atomic hydrogen. The best rocket fuel we currently have is liquid hydrogen and liquid oxygen, burned for propellant. The efficacy of such substances is characterized by “specific impulse,” the measure of impulse fuel can give a rocket to propel it forward. Metallic hydrogen could potentially enable rockets to get into orbit in a single stage, even allowing humans to explore the outer planets. Metallic hydrogen is predicted to be “metastable” — meaning if you make it at a very high pressure then release it, it’ll stay at that pressure. A diamond, for example, is a metastable form of graphite. If you take graphite, pressurize it, then heat it, it becomes a diamond; if you take the pressure off, it’s still a diamond. But if you heat it again, it will revert back to graphite. Scientists first theorized atomic metallic hydrogen a century ago. Silvera, who created the substance along with post-doctoral fellow Ranga Dias, has been chasing it since 1982 and working as a professor of physics at the University of Amsterdam. Metallic hydrogen has also been predicted to be a high- or possibly room-temperature superconductor. There are no other known room-temperature superconductors in existence, meaning the applications are immense — particularly for the electric grid, which suffers for energy lost through heat dissipation. It could also facilitate magnetic levitation for futuristic high-speed trains; substantially improve performance of electric cars; and revolutionize the way energy is produced and stored. But that’s all still likely a couple of decades off. The next step in terms of practical application is to determine if metallic hydrogen is indeed metastable. Right now Silvera has a very small quantity. If the substance does turn out to be metastable, it might be used to create room-temperature crystal and — by spraying atomic hydrogen onto the surface —use it like a seed to grow more, the way synthetic diamonds are made. 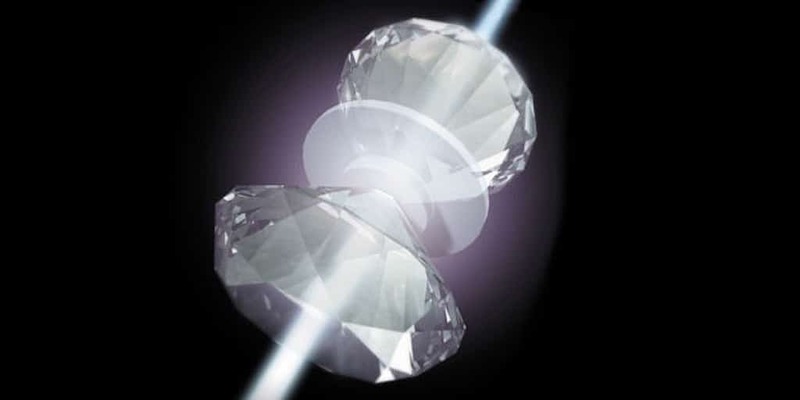 — “Holy Grail” Metallic Hydrogen Is Going to Change Everything originally appeared at Inverse.